Format varies between standard columnar and quick reference as well as 'standard' and pocket sizes. 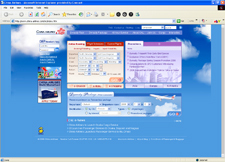 China Airlines Class 1A timetables often show only international services. All formats of system timetables are included in this list except where known, concurrent versions were produced. In that case, this list includes the format most consistent with the general timeline of timetable publications. Awkward, but my best effort to organize China Airlines timetables. Feedback is welcome on the AirTimes organization of China timetables.